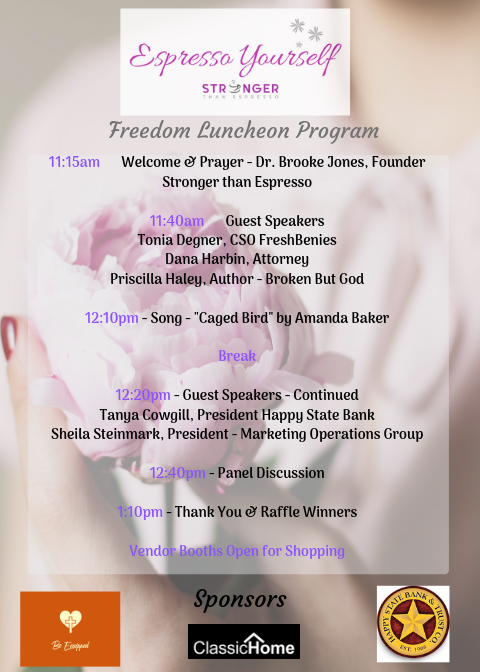 We had an amazing time to connect and celebrate at the 1st annual Women’s Freedom Luncheon! 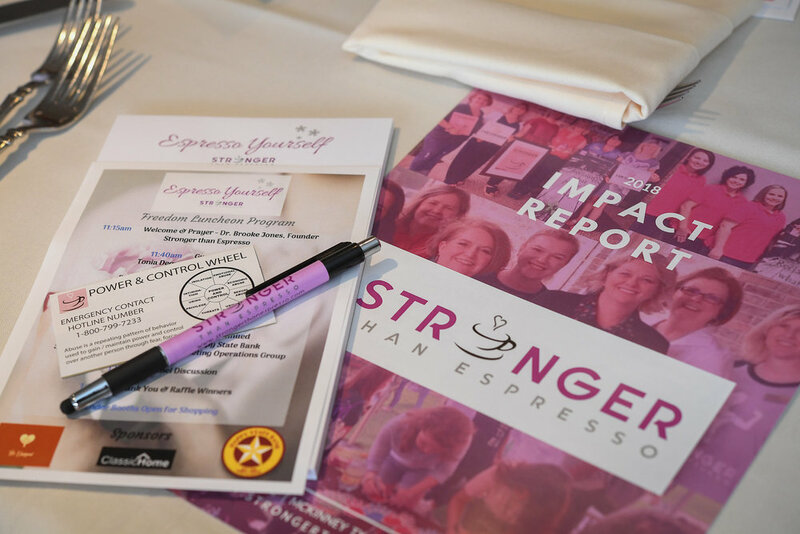 This luncheon was designed to inspire women and to provide critical funding needed to continue the important work helping survivors of violence and abuse find their way to healing. Thank you to their amazing dedication to bringing an inspiring and encouraging women’s luncheon! I am already Looking forward to next year’s Luncheon. Remember Always Espresso Yourself in ALL you do!